The signs of economic downturn are difficult to ignore in Allegheny West, a North Philadelphia neighborhood plagued by abandoned properties and blight. The aging infrastructure of the residential area limits the opportunities for residents to live in reliable and affordable housing. The Allegheny West Foundation, a nonprofit community development corporation, is one of 13 local sponsors that will receive funding from the $5.3 million in affordable housing grants for the construction or rehabilitation of 645 units of affordable housing across the city. The grants come from the Federal Home Loan Bank of Pittsburgh, a congressionally chartered wholesale bank, which partners private capital with public sponsorship to provide community-building funds for neighborhood banks. FHLB allotted $5.26 million in grants to its Affordable Housing Program, along with one $75,000 Homeownership Rehabilitation Program grant. The foundation was awarded $500,000 in total AHP grants to fund its Stable Homes for Stable Families project. Ten new homes will be built on 22 vacant and blighted lots as part of the foundation’s Forgotten Blocks redevelopment plan designated to a six-block neighborhood. The six blocks targeted are in close proximity to the Deliverance Evangelistic Church, located at 2001 W. Lehigh Ave.
Once completed, the overall plan will transform 53 vacant sites into housing units available for home ownership to low and moderate income families. Forgotten blocks include the 2700 and 2800 blocks of North Garnet, Opal, 19th, 20th and Gratz streets, and the 1900 block of both West Somerset Street and Lehigh Avenue. The AHP grant will fund the fifth phase of the Stable Homes for Stable Families project that is scheduled to be built early next year. 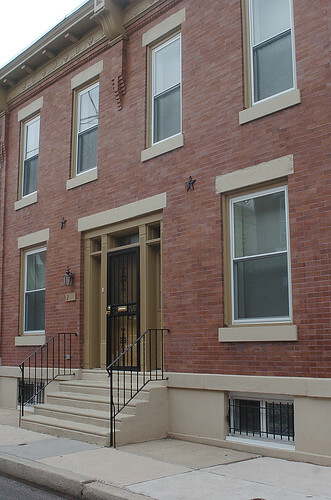 Increasing the supply of affordable housing in Allegheny West through the acquisition and redevelopment of properties is feasible with subsidy support from various community investment assistance agencies. The foundation requests subsidies to finance the difference in rehabilitation costs and the value of a renovated home. Subsidies average at $125,000 for constructing new units, while rehabbed properties are priced at $65,000 to $75,000. Walker said the market value and availability of funding hinder the constant development of new homes. “There’s always a supply of vacant homes and people looking to buy their own house. The issue is the value of our homes in the area doesn’t support us to do this without subsidy, so we have to look at the timing of when the subsidies are available,” he said. In response to the deindustrialization, many homes and businesses continue to decline since the loss of the neighborhood’s manufacturing base in the late 1960s. “The lack of jobs in communities leads to all the other ills in the community. If you don’t have any money you can’t keep your house up, if you can’t keep your house up, you lose it. If there’s a vacant house on the block then that blight can spread and then it attracts crime and crime means more disinvestment,” Walker said. The project will assist the elderly and low-income individuals seeking to purchase their first home. “When we develop housing, whoever gives us a subsidy generally has income guidelines for individuals,” Walker said. AHP funds support projects that offer affordable housing to individuals and families whose incomes are defined as low, 51 to 80 percent of area median or very low, 50 percent and below of area median. Walker said potential homebuyers have to qualify for a mortgage. “They have to have good credit and some assets in the bank. It’s really an opportunity for a first-time homebuyer with good credit and a job history,” he said. As part of its effort to encourage neighborhood maintenance, the foundation provides housing and budget counseling to ensure families are ready to purchase a home. Potential buyers are educated about the responsibilities of being a homeowner. To deter further abandonment of communities surrounding Allegheny West, the foundation seeks to develop more residential and commercial properties to attract Temple students and employees. “There are a whole lot of quality of life issues that we’re working to address. It’s hard because sometimes we believe that once a young student graduates, they have so many choices, why would they choose North Philly?” Walker said. The organization is also expanding economic development along the commercial corridor on 22nd Street, home to a variety of active businesses. “We are looking at ways to meet demand right in the neighborhood to attract different services and products that really aren’t offered here,” he said. Walker said a mixed income community will foster greater revitalization than one populated by low income individuals. “Our demographics don’t show that a lot of people have a college education, but we think that we have a great neighborhood with good amenities,” he said. Underneath a tree surrounded by empty Budweiser cans, Tamika Jacobs, LaMont Brown and George McBride sat on a bench bordering the basketball courts on 16th Street and Susquehanna Avenue, shading themselves from the Saturday morning sun. I think what you are doing is great !!! But the problem is there are a lot of people who’s credit has been affected by the down turn in the economy. Whether they have lost their jobs and can’t maintain their credit because they are just trying to survive the basic necessities of living: housing,food, and clothing. Of course if most of them had good credit , Im sure they would not be as limited to distressed neighborhoods that have been revitalized. Get real!!! You are going to have to put some programs in place to help them rebuild their credit . I am a licensed realtor and the problem is most people right now are unable to qualify for a mortgage mainly because of their credit or job instabilty. So goog luck with only appealing to the ones with good credit !! !